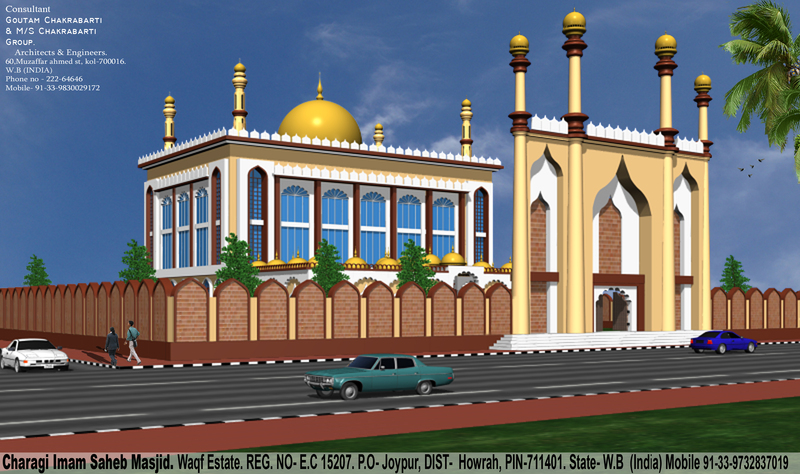 Charagi Imam Saheb Masjid Waqf Estate is a Waqf organization which is registered under Waqf Registration Act. 1995. It was established on 26th April 1995, by a group of likeminded social workers who were working in the fields of basic health, Const. Mosque, Islamic Institutions, education, Qurbani, Iftar, environmental protection, rural development, women empowerment and human rights. Organization began with very limited resources as well as manpower. The organization aims to empowerment of the economically weaker & socially marginalized section of the society through capacity building of the people. As far as the legal status of CISMWE is concern, it is legally constituted WAQF organization having registration under Waqf Registration Act of 1995. It works on No Profit-No Loss basis. It is also entitled to receive donation/contribution from out side India as it has FCRA certification, issued by the Ministry of Home, Government of India (Details given ahead). CISMWE works among rural women, Mosque, Islamic Institutions, Qurbani, Iftar, children, handicapped people and poor villagers and urban deprived population. Major areas of interest of the organization are Women Empowerment, Primary & Non-Formal Education, Basic Health, HIV/AIDS Awareness, Environmental Protection, Self Help Groups (SHGs), Employment Oriented Vocational Training, Youth Development, Promotion of Sports, Arts and Culture, Reproductive Child Health and Awareness on various Social, Health and Current issues. CISMWE has been committed towards it’s objectives which are community Development, Handicap Welfare, Child welfare, Promotion of National Integration, Communal Harmony, Brotherhood and peace, involving the youth in the income generation activities, and providing them platforms to serve the community.